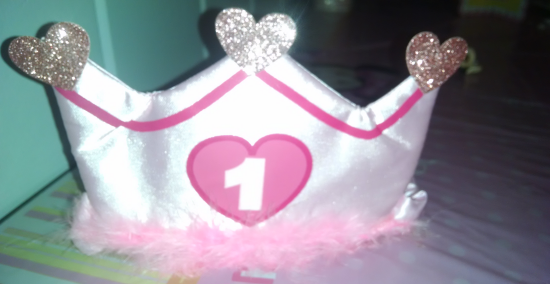 Thank you Oriental Trading for providing all the fun decorations for my granddaughter’s 1st birthday party! 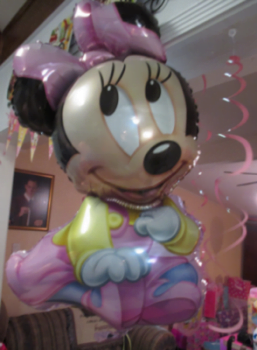 We wanted to have a nice birthday party for her, and it turned into a huge success of a party! We hosted the party on what turned out to be a beautiful Saturday afternoon. 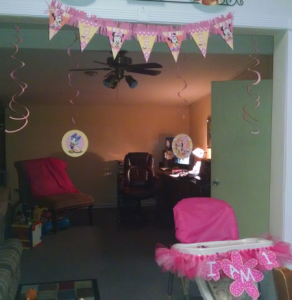 My daughter and son in law decided on a Minnie Mouse 1st Birthday Party. The invitations were created on the computer and printed out! As part of the Blogger community for Oriental Trading Company I was able to showcase and use some fantastic products to feature for this celebration. 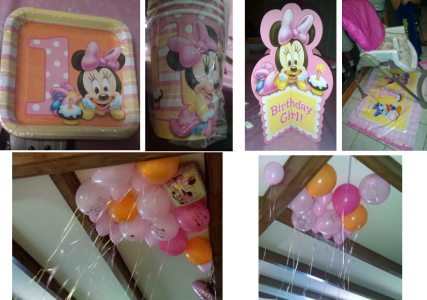 My daughter chose the Minnie Mouse cups, plates, balloons, wall decorations, high chair floor mat and I can’t remember the rest. 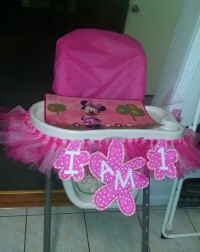 LOL The high chair decorations were made by the other grandmother. As you can imagine, we took a lot of pictures! 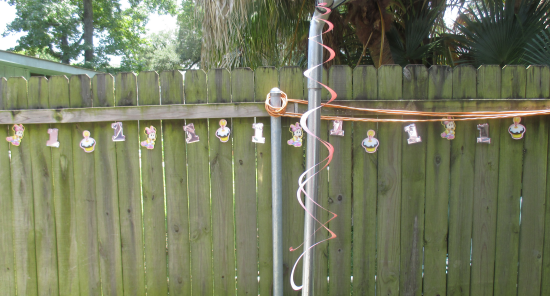 To do the review, I have closeups of some of the decorations so you can see the details. 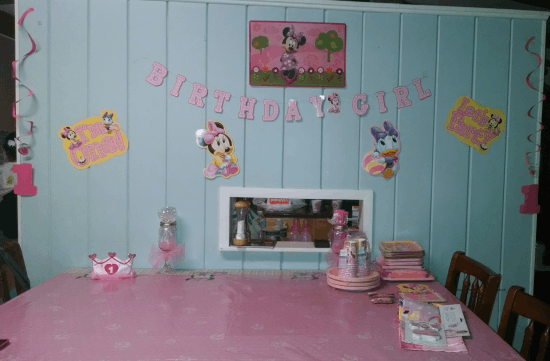 I have to say, I absolutely LOVED how the Minnie Mouse 1st Birthday came together. The beautiful Minnie Mouse cake and smash cake came from Gambino’s bakery. It was wedding (almond) flavored, YUM! 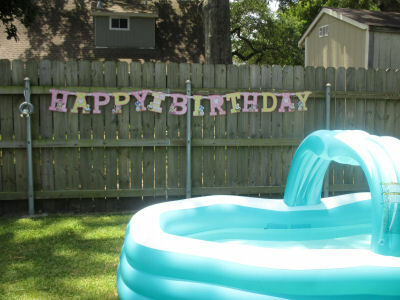 Since it was a beautiful day in July, it turned into an outdoor, pool party too! LOL We added some decorations outside! 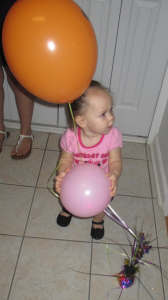 My granddaughter loves balloons! She was so excited to have balloons to play with. I just can’t get enough of this little angel! Her smile makes you smile and the next thing you know, you’re laughing and having a great time. 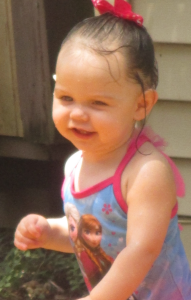 Thank you to Oriental Trading for providing products to help make my grandbaby’s day so special. My apologies to Oriental Trading, this review was suppose to post in July, it skipped the scheduled date, and because I was getting ready for my mother (great grandma’s 1st visit) to stay with us, I was not online a lot and did not catch it until now. So I’ve changed the post date and added the video!